Introducing Connexion, the worlds most powerful .NET interface engine. Connexion is the next generation in interface engines. Built on .NET, it is powerful, easy to use, and extensible. When a complex integration task comes along, Connexion’s built-in Custom Code Editor provides access to the entire .NET framework, so virtually any integration objective can be achieved with just a few lines of code. Connexion can be used as a standalone interface engine, or it can be a core component of any Healthcare application requiring integration services. 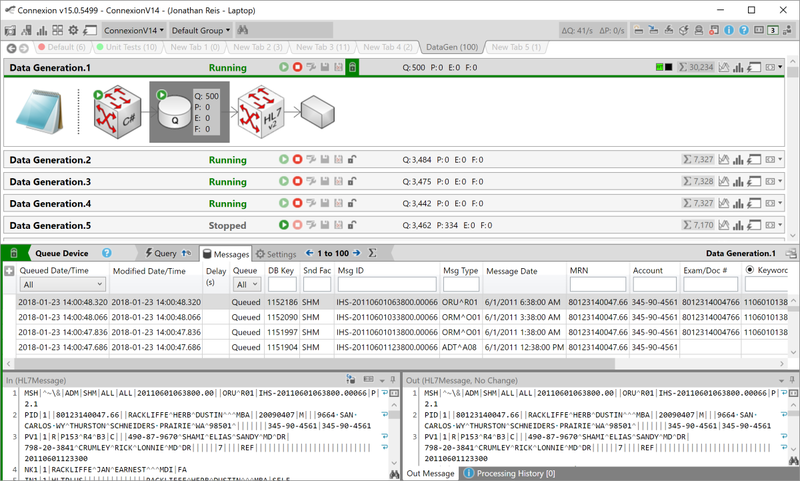 Connexion’s ability to expose a programming environment also makes it a great tool for testing other products.